This print is like a comic series. Something has happened and something is still to happen. 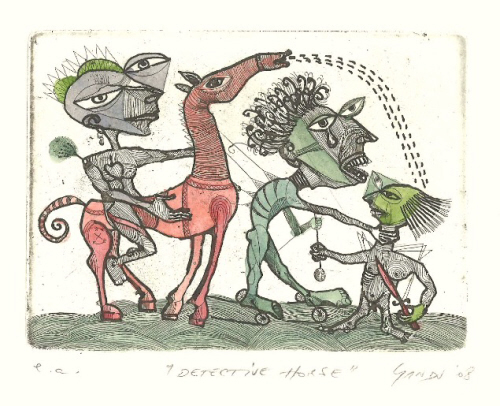 In this print we see a horse and 3 weird men, or actually creatures, in some sort of fight. The horse is according to the artist, Adrian Sandu, a detective. This is an etching with some hand colouring. The print is signed and numbered by the artist. The size of the edition is 25.